Keeping his face in the background, but a strong, characteristic sound in the front, for someone like Loxy it’s never been about image, fame or hype – it’s only the music that speaks. Loxy started hunting down vinyl with insatiable dedication, and by 1990-1991, he started to share his collection and talents behind the decks. Through a friend promoting parties, he ended up on the stage at East London’s legendary Dungeons - and from there, the gigs started flying in at an unruly pace. Loxy’s name was soon spread across flyers for events that now hold their veritable place in rave history books, including Elevation, Desire, Club Jungle, Thunder and Joy. 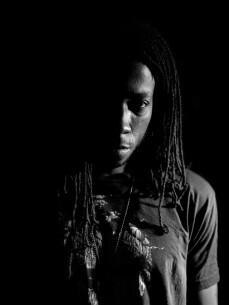 He also became a regular on various radio waves across London (such as Underground FM, Pulse FM, Chillin FM, Rude FM and Eruption FM), bringing a darker edge that was influenced by the sounds of Face Records, Reinforced and Moving Shadow. music and similar yet varied tastes.” Their first track – ‘Submerged’ - was released on Architecture Recordings, and also held a feature spot on Kemistry and Storm’s ‘DJ Kicks’ mix compilation. From the beginnings, it was clear that destiny held much promise for the duo – and eventually they became an archetypal pair in D&B, creating some of the most essential anthems in the harder, darker, more dub- influenced terrains of the genre.